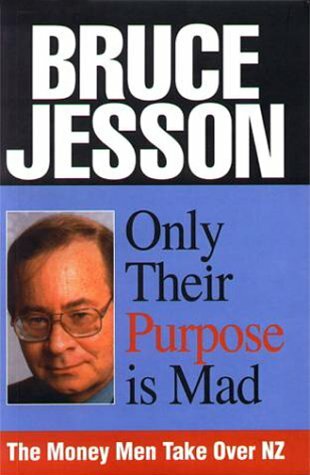 The Bruce Jesson Foundation presents the Bruce Jesson Senior Journalism Grant (up to $4,000) and the Bruce Jesson Emerging Journalism Prize (up to $1,000) annually for critical, informed, analytical and creative journalism or writing which will contribute to public debate in New Zealand on an important issue or issues. The Bruce Jesson Senior Journalism Grant is paid in advance to fund the time and costs required for an investigative project. This grant from increased from $3,000 to $4,000 in 2011. You can apply here, uploading your letter detailing how you meet the criteria. 1. You propose to produce or publish a work of critical, informed, analytical and creative journalism or writing which will contribute to public debate in New Zealand on an important issue or issues. 2. The work may take the form of an article, report, pamphlet, book, radio or television programme, film, website or any other publication which is aimed at, and accessible by, the general public of New Zealand or any part of New Zealand. 3. You have provided a detailed budget showing that you are unable to produce the work without advance funding to cover direct costs and/or living costs while researching or producing the work. 4. You have tried, and have been unable, to get adequate funds from all possible sources including, where appropriate, media outlets and other publishers. (This would clearly NOT be appropriate if the work will be critical of such media outlets or publishers). 5. You can demonstrate, at an interview and on the basis of past work and/or references, that you are capable of producing the proposed work with enough accuracy, insight and flair for it to have an impact in New Zealand public debate.